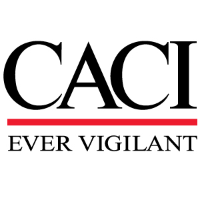 CACI is seeking a PHYSICAL SECURITY TECHNICIAN (PSEP) to suport our program in Ft. Belvoir. Provides GSA Container, vault and pedestrian door locking device Inspection, maintenance and repair as required by supported MSC S2/SSO. Maintain Electronic Security Systems (ESS) as required by supported MSC S2/SSO to include semi-annual IDS testing for protected facilities. Applies advanced technical state-of- the- art integration of engineering models or prototypes, major system modifications to physical security systems and operations with fire detection and suppression systems, environmental systems, station power and grounding systems to National Code and INSCOM configuration management regulations, standards and requirements. Performs complex Electromagnetic Interference/Radio Frequency Interference (EMI/RFI) analyses and makes recommendations for mitigation. Maintains baseline information for US military unique physical security systems. Performs complicated diagnostics, fault isolation and maintenance of complex electronic analog and digital communications and telecommunications equipment and Radio Frequency (RF) systems High Frequency through Microwave (HF through MW). Representative of this equipment are antennas, preamplifiers, receivers, demodulators, converters, fiber optic systems, computers, graphic workstations, printers, recorders, analog and digital displays, input/output devices, Local Area Network (LANs), and test equipment. Configures, tests, and installs unique proprietary computer software and hardware for physical security systems. Performs software updates and modifications, graphics changes, additions, historical and operating system backups. Conducts site surveys and analyses of physical security system and network requirements and produces complex network diagrams and recommended solutions to accommodate system and network evolution. Evaluates proposed computer hardware and computer network systems to determine technical feasibility, costs for implementation, and operational adequacy. Provides classified technical documentation and training to technical personnel on modification, integration, and installation of network equipment, configuration of network software and installation of proprietary system software on electronic communication equipment’s. Provides life cycle support of physical security system software and hardware, configuration management, research and identify replacement Logical Replacement Units (LRU) for equipment and system upgrades, and trains technical personnel on system software) and other special and unique applications. Research, design and install tailored systems and technologies to support reconfigured facilities. Operates Built-In Test Equipment (BITE) and Automated Test Equipment (ATE). Provides technical support for access control and intrusion detection systems such as voice, data, biometric, and or wireless access denial systems installed in Sensitive Compartmented Information Facility (SCIF). Associate’s Degree in Electronics or related field from an accredited college/university with eight years’ experience in physical security systems; or 10 years of Military equivalent technical training. Employee must have knowledge in computer system maintenance, assorted software versions and enhancements, analysis and test. In addition, employee is required to have at least two years’ experience working with unique software applications, and experience working with server configuration, administration and network support. Subject matter expert level knowledge with configuration management, installation practices and regulations, research and identify replacement Logical Replacement Units (LRU) for equipment and system upgrades of proprietary systems, and quality assurance practices and requirements. Knowledge in Electromagnetic Capability (EMC) and the functional application of Electromagnetic Interference/Radio Frequency Interference (EMI/RFI) analysis. Maintain ADVANTOR License Authorization and requisite training level to conduct maintenance to ADVANTOR ESS. Maintain LENEL products Verified Authorized Retailer (VAR) License Authorization and requisite training level to conduct maintenance to LENEL (On-Guard). Maintain GSA Certified Safe and Vault Technician Certification.